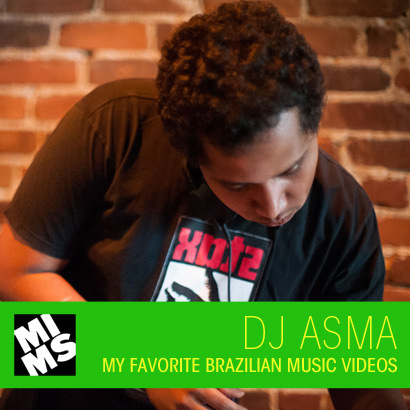 I am a passionate fan of brazilian music in all its forms. From the evolution of samba to the psychedelic tropicalia period, Brazilian’s have always managed to innovate while uniting under a truly national sound. You may remember YeS McCan‘s great piece well I want to take you on a similar journey. If an image is worth a 1000 words than I wonder what a video is worth to songs, because these youtube clips contain some of the most stunning and trippy footage I’ve layed my eyes on in a while. All artists I should post about in detail but simply read the short description, marvel at the videos and don’t hesitate to purchase their music on sight. Que belleza que a musica brasileira! Dom Salvador’s soaring piano is backed by a serious rythm section and the sublime Elis Regina tops things off. Ensaio was a great program that allowed us a glimpse to some rare footage, Som Imaginario are just wreckin! A lot of the Tropicalia artists got their break on national TV participating in bossanova Tv shows and startling audiences into accepting the psychedelic esthetic. Once they became the norm, they took stage performance to an intricate new level, more like a live theatre/music video mash up than a performance here are two of brazil’s biggest legends doing just that. Before Marcos Valle and Quarteto Em Cy went psychedelic (and recorded their best music) they charmed audiences across america with their syncopated polyphonic bossa musings. This group brings harmonic vocals and traditional music to a whole other level…what a revelation!